question_answer1) Which of the following statements is true for Flash CS6? The icon marked by is called as_____. The icon marked by is called as _____. question_answer5) The area where the movie is created using graphic, text and video clips is called __________. question_answer6) Which of the following is not a Lasso Tool option? question_answer7) is the _______Tool and is the ________ Tool. question_answer8) The ________ tool is used to move stage in all directions without changing the magnification. question_answer9) tool is used to _____. 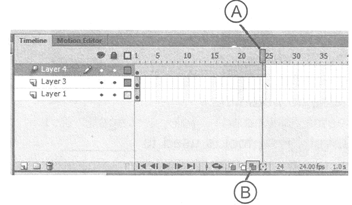 question_answer10) The _______ is the arrangement of various flash elements, like panels, menus bars, windows etc. question_answer11) Which keystroke is used to "Create a New Symbol"? question_answer12) __________are like multiple film strips stacked on top of one other, each containing a different image that appears on the stage. question_answer13) The active layer on the timeline is indicated with a _________ icon. question_answer14) The shortcut key that is used to convert a selected object to a symbol is ______. question_answer15) Which of the following options allows you to see a faint ghost image of the previous frame? question_answer16) Which of the following is a type of gradient in Flash? question_answer17) Identify the given tool. question_answer18) Who was the main programmer and visionary of Flash? question_answer19) Identify the given tool. 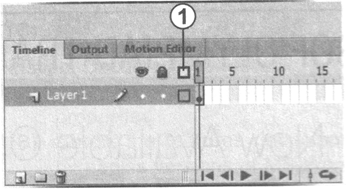 question_answer20) Which of the following is NOT a section in the Tools panel? question_answer22) Match the Adobe Flash term names with their description. (i) Movie (a) Transparent sheets containing various objects, can be placed on top of each other. (ii) Scene (b) The first file that opens when you open a flash document. (iii) Timeline (c) Area where you add every piece of content to be added in a movie. (iv) Layer (d) It consists of animated objects. (v) Stage (e) The area on screen to work with layers and frames. question_answer23) Identify the icon marked with (1) in the given snapshot, of Timeline window. question_answer24) Which of the following keyboard shortcuts will allow you to create a new blank Key frame? question_answer25) What is the use of tool?